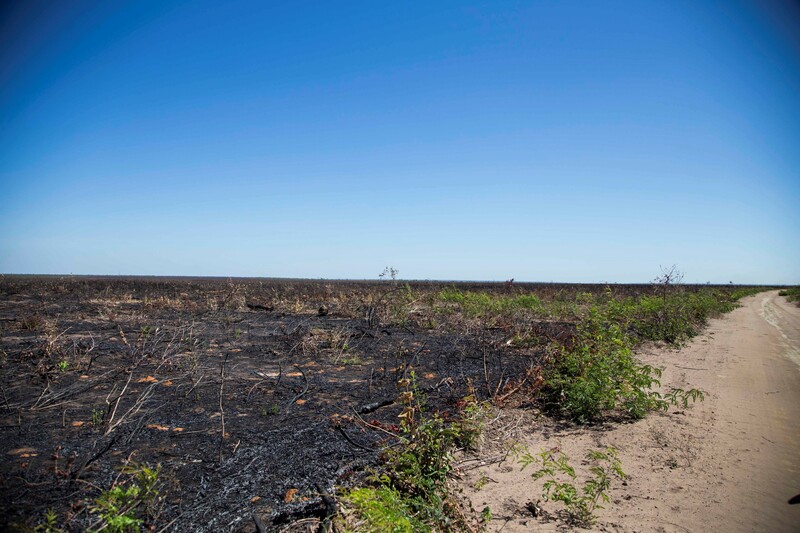 The advance of agribusiness in the MATOPIBA region (an area of around 73 million hectares expanding across the Brazilian States of Maranhão, Tocantins, Piauí, and Bahía), backed by international capital, is destroying the livelihoods of rural communities and significantly eroding local biodiversity. The MATOPIBA region is situated in the northern part of the Cerrado, an ecoregion, which is home to 5% of the biodiversity on Earth. Although it is less known than the Amazon, it is just as vital for both the country's and the planet's ecology. The indigenous and traditional communities living there have developed strategies of survival and coexistence with this ecosystem and their practices and knowledge are indispensable for the survival of the Cerrado. With the spread of financial activity and the expansion of industrial agriculture – particularly soy – this ecoregion is reaching extremely high rates of deforestation. “The MATOPIBA region is witnessing the transformation of land into a financial asset as a result of the growing power and influence of global finance, and its ways of operating – a process called 'financialization',” says Fábio Pitta of the Brazilian Network for Social Justice and Human Rights. Brazilian governments have long promoted agribusiness expansion through significant subsidies and large soy monocultures reached the MATOPIBA region in the 2000s. “International capital has financed agro-industrial production in Brazil for a long time. What has changed after the financial crisis of 2007/08 is that land itself has become a target for financial actors and a business in its own right, independently from the financing of agro-industrial production or the trading of commodities. Their so-called ‘investments’ are speculative because they aim to increase their portfolios’ value through rising land prices” Pitta adds. This new form of land grabbing has exacerbated the intensity, scale, speed, complexity and structural impacts on local people. In the case of MATOPIBA, pension funds from the USA and Europe are crucial players, pouring hundreds of millions of dollars into the land business. Through two local funds, TIAA (USA), Ärzteversorgung Westfalen-Lippe (Germany), ABP (Netherlands), and the Second Swedish National Pension Fund (AP2) own almost 300,000 hectares of farmland in Brazil. “These funds may not be directly involved in displacing local people, but they are an essential part of the destructive business model applied in the region. And they know what kind of business they are involved in,” says Philip Seufert of FIAN International. The involved pension funds fuel land speculation and directly profit from rising land prices. The states in which these pension funds are based, have failed to put in place effective regulation to ensure that these actors’ transnational activities are compliant with human rights and respectful to the environment. States are relying on voluntary self-regulation of business actors, including when it comes to providing remedy to affected people. “Such an approach gives the role of the arbiter to the very same actors that are involved in severe abuses. This is contrary to states’ human rights obligations and cannot ensure justice. When it comes to pension funds, states do have oversight on the financial aspects. However, the pensions of people in the USA and Europe cannot be secured by destroying the lives of rural communities in Brazil,” Seufert adds. The report “The Social and Environmental Cost of Land Business. The Case of MATOPIBA, Brazil” is published by FIAN International, The Network for Social Justice and Human Rights and the Pastoral Land Commission (CPT). The research for and elaboration of the report has been a collective work of more than 30 social movements, national and international human rights organizations, development organizations and academics. The report is based on two fact-finding missions, which took place in September 2017 and January 2018.